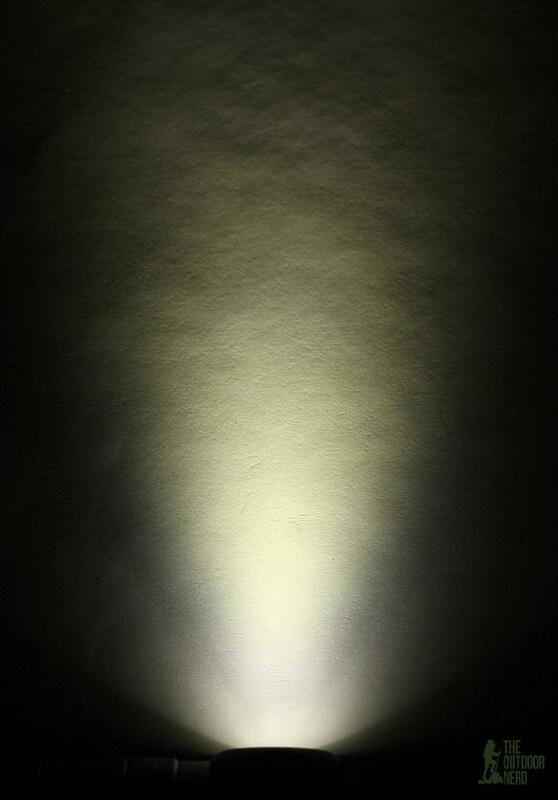 I’ll admit, I’ve never been a big fan of Olight’s S series LED flashlights. I’ve always loved the concept, but the first few generations of the S series came up short for me. I bought one of the first S1A models in Titanium and loved it, until I realized it turned on just from being in my pocket. My next was an S30 which had the opposite problem: The switch was inset too much and I’d have trouble finding the switch in the dark. But Olight has been evolving the designs for the whole series: changing the reflectors, switches, and even adding a USB rechargeable tail. 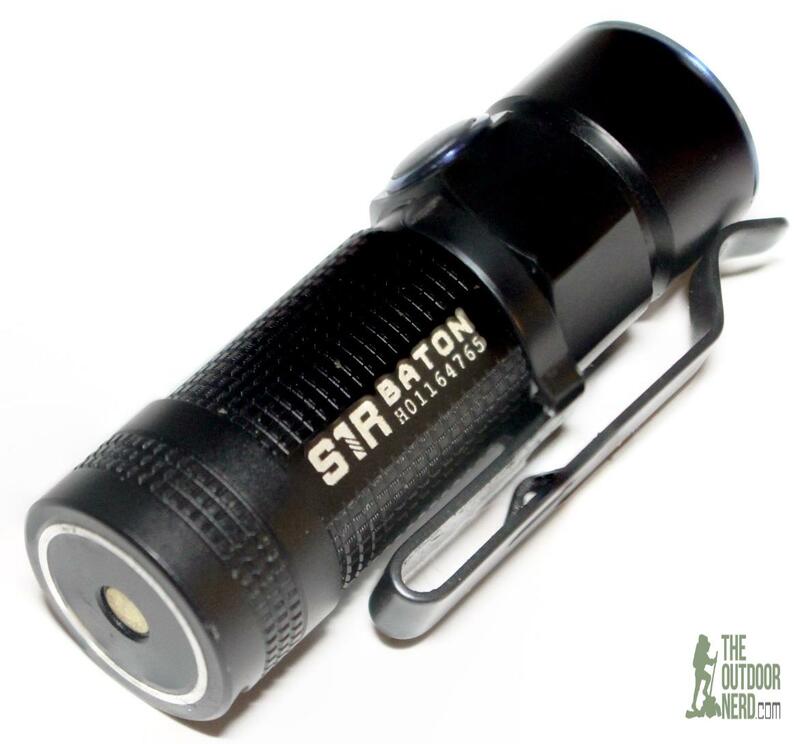 So I’m happy to take a look at this latest generation Olight S1R Baton they provided me for review. I noticed it also comes in copper and titanium, though they don’t seem to come in the rechargeable R version. 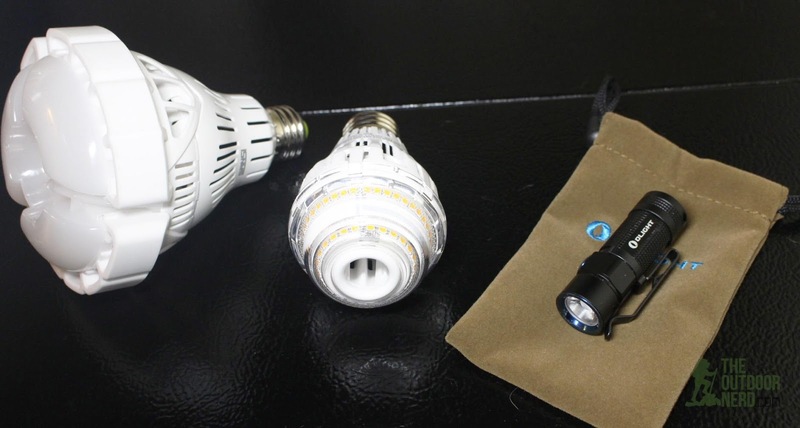 The Olight S1R is a CR123 style flashlight which features a Cree XM-L2 LED emitter, and alectronic switch, and a built in charging base with included USB charging cable. It’s extremely compact and sports 6 different modes. This is the cool white version. It seems like they solved most of the issues that I’ve always had with the S series. My biggest issue with this series has always been the switch. I love electronic switches, but they are very hard to get right on a flashlight. Especially for a model that’s designed to go in your pocket. This latest generation has a slightly inset switch but with a little rubber boot covering it, so it’s much easier to find by feel in the dark. It’s still not perfect, but it’s as close as I’ve seen on a side mounted electronic switch. Feeling around for the switch in the dark, my thumb kind of sticks to the rubber boot, making it easy to know I’ve found the switch. I’ve always mounted the clip on the opposite side of the switch, which makes it even easier to find it quickly in the dark. Which leads me to the clip. I’m not a big fan of snap-on type clips. It’s the main reason I stopped carrying the S30: the clip would pop off always at the worst time, and it was usually very annoying. So, the clip on this sample seems much tighter, which is what I was expecting after reviewing a couple of their new headlamps, which is basically this same form factor. In a perfect world I would like this type of clip better, because it’s reversible. From what I can tell so far, the clip looks like a huge improvement! The evolution of the series is apparent in most other aspects of the light. It’s got the rechargeable tail cap, which I like much better now that it’s just a charging cable and not a base station. The anodized blue accents are nice, too. With earlier generations it looked like they were trying to make a cheap light look higher end, but taken with the other improvements, it finally gives me that impression. One thing I noticed right out of the box is the odd reflector and lens. I’m not even sure what to call it. Maybe a “TIR hybrid”? Flashlights with this form factor aren’t made for “throw,” i.e. seeing objects at at large distances. 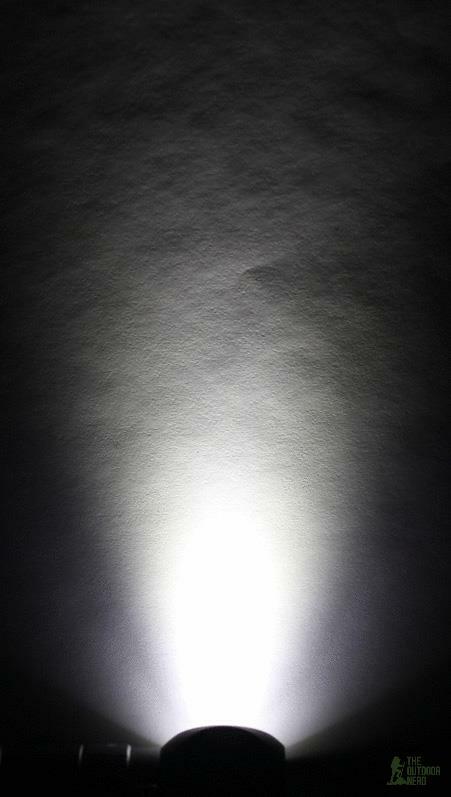 The best I can tell, this odd design is meant to squeeze every last bit out output from the light, which it seems to. Overall, I have a very good first impression of this review sample S1R. Overall, good. 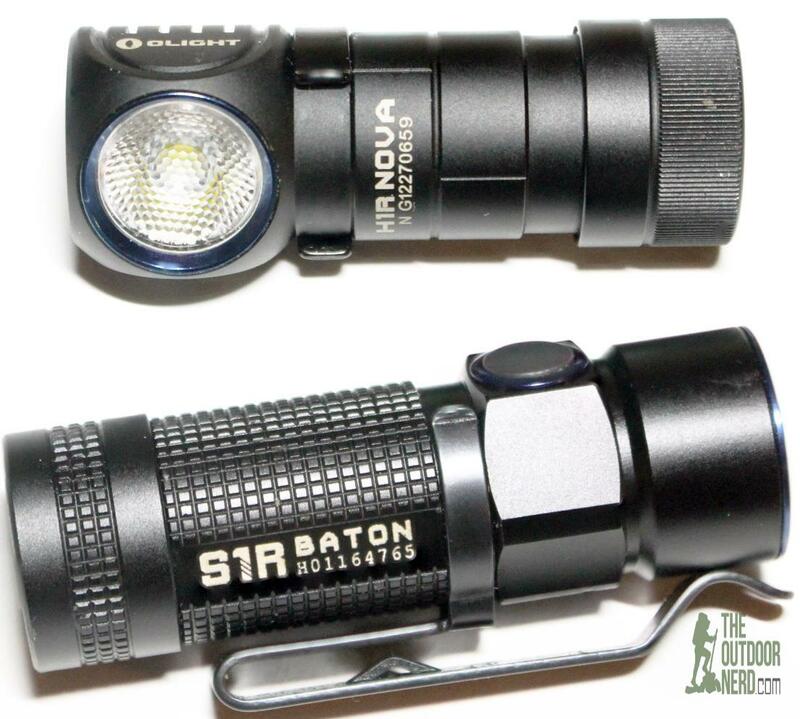 Earlier generations of their S series were decent flashlights, but they always seemed a little on the cheap side for me, even the high end titanium models. And it wasn’t any one thing, either. The series had a bunch of little things that all took away from the overall impression of quality. But now here we are in 2017, and they have been making this series for several years. And now, looking at an obviously improved product, it’s not any one thing that gives me the impression of quality. Other than their thin anodizing I always pick on, I can’t find much to pick on about the build quality. The plating on the contacts of the tail cap looks a little thin. I plan on recharging it using the charging cable, so it’s a non-issue for me since I’ll never be taking off the cap. I guess if you use CR123A cells and change them every day, it might be an issue. All the stuff I look for is there. The machining is spot-on, even down to the square threads for the tail cap. Cheap clips are a real pet peeve of mine, and I’m happy to report that this one seems much higher quality than previous generations. The switch has a great, solid feel. The lens / reflector setup looks well built, though it is acrylic and not glass. One pet peeve of mine is low frequency PWM. This model uses high frequency PWM on most modes, though it does run constant current on moonlight mode. From what I can tell, Olight listened to its customers and stepped up its game. Overall, good. The anodizing on their S series (headlamps as well) has always seemed to be a little thin. At this price point it should really pop. Same with the blue anodized accents. The knurling is well-machined, but a little too smooth on the tail cap. You could make the argument that sharper knurling wears your pocket out, and that the tail cap doesn’t need to be taken off with a rechargeable base, but I still wish the knurling was a little sharper. Other than that, the fit and finish is basically immaculate. The look, feel and finish of the switch seems like a big step up from earlier generations. The clip is as tight as I’ve ever seen on a snap-on clip.The stenciling and knurling are precise, and all the anodizing is nice and uniform. The LED is machine centered, though the reflector does seem to have a small aberration which doesn’t affect the beam or output. The S1R has 6 modes, 3 of which are “hidden” modes: moonlight, low, medium, high, turbo, and strobe. Normal use: Single click the switch to turn the light on and off, and hold the switch down to cycle through low, medium and high, in that order. Moonlight mode: With the light off, press and hold the button, and the light will come on in moonlight mode. Turbo: Double click the switch at any time and the light will come on in turbo mode, whether the light is on or off when you start. The light will stay in turbo until the circuitry decides to kick it down to high mode, based on the voltage of the battery and heat. Strobe: Triple click the switch at any time an the light will switch to strobe mode. I’m not a huge fan of these “disco modes” but it’s tucked out of the way, and it’s fun to impress your friends with. The mode spacing is pretty good on this light. I especially look for moonlight and low modes to be as low as possible, since I usually either need a small amount of light or I just triple click to turbo. The output of this model on Turbo is fantastic. I don’t use a light sphere to measure output, but I have lots of CRxxx sized lights to compare it to, and it’s the reigning output champ of my collection. So, I have no reason to doubt any of the specs. The beam on the S1R is almost pure flood, due to it’s odd reflector setup. This is a light meant for closeup EDC style tasks. It has a nice, smooth beam pattern for having such a shallow reflector, due to what I can only think to call a “stippled hybrid TIR reflector” design. It’s an odd design, but it works well. Olight shipped me a cool white version because they were short on stock for the neutral white version I requested. For cool white models my pet peeve is lights that have an icky blue-ish or green-ish tinge. This sample has what I would call a true cool white tint, probably due to the high frequency PWM. It’s pretty good for a cool white. The photos below are a comparison between the cool white and neutral white versions of the H1R, but my S1R has the exact tint as the cool white H1R so these photos are a good comparison for tint. This model uses a snap-on type clip. I seriously didn’t like the clip designs on the older Olight models because the clip detached too easily when I’d carry them around in my pocket. I’ve noticed that the newer models have beefier clips which fit much tighter. It’s still not my favorite style of clip, but it’s performed well for me so far. Anyone who knows my reviews knows that I’m a huge fan of electronic switches. I’m pretty hard on my gear, and while mechanical switches have a great feel, they just don’t seem to last very long with heavy use. In fact, I think the only light I still have with a mechanical switch that I’ve used for any period of time and is still alive, is my trusty V11R. The electronic switch on the S1R is well designed and well implemented. It’s still not ideal finding the side switch like this by feel in the dark, but I keep the clip rotated to where the switch is on the opposite side, so I can pick it up in the dark and turn the light on without fumbling for the switch. This model uses high frequency PWM on most of its modes except moonlight mode. While I don’t really like PWM in general because it’s less efficient, many manufacturers use it to improve the tint of the beam. I only use constant-current lights for survival bags, because I want every minute of run time in an emergency, but for EDC it’s fine, because I can just hook it to the charger if it goes dead while looking inside a cupboard. Moonlight mode uses constant current which is good. All the “R” series from Olight contain a built in charger in the base, with a USB connector that attaches to the flashlight with a magnet. I didn’t get a chance to test the charging much with the H1R review, but I put this one through its paces, and it performs well. For my test, I used the light until the battery was dead, then connected the charger through a USB meter, which measures the charge rate as well as the voltage. Both are where I’d expect them to be, and it actually is a little aggressive with the charge rate, which I like. Most USB chargers charge in the range of 500 mAh, so it’s nice to see this one bump it up a little. The charger cable has a little colored LED that shows red for charging and green for fully charged, which is also nice. I’ve been super busy lately, but one of the benefits of taking so long to do a review is that I have spent lots of time with this flashlight. I keep the H1R and the S1R both connected to the range hood above my stove to make them easy to grab when I need them. It’s a great setup but I knock one of them off almost every day and it bounces off the metal stove, sometimes when I’m cooking. So, durability over time, check. My S1R has several nicks from being dropped repeatedly, but nothing concerning. One thing I noticed with the S1R over the H1R is that the S1R stays in turbo mode much longer than its cousin before it steps down to high mode, though it does get a little warm. This S1R has been my go-to EDC light for 2 months, I still can’t decide whether I like the S1R or the H1R better. The H1R has a switch that’s easier to find by feel because it’s on the top of the light, but the S1R has better output and a longer lasting turbo mode. 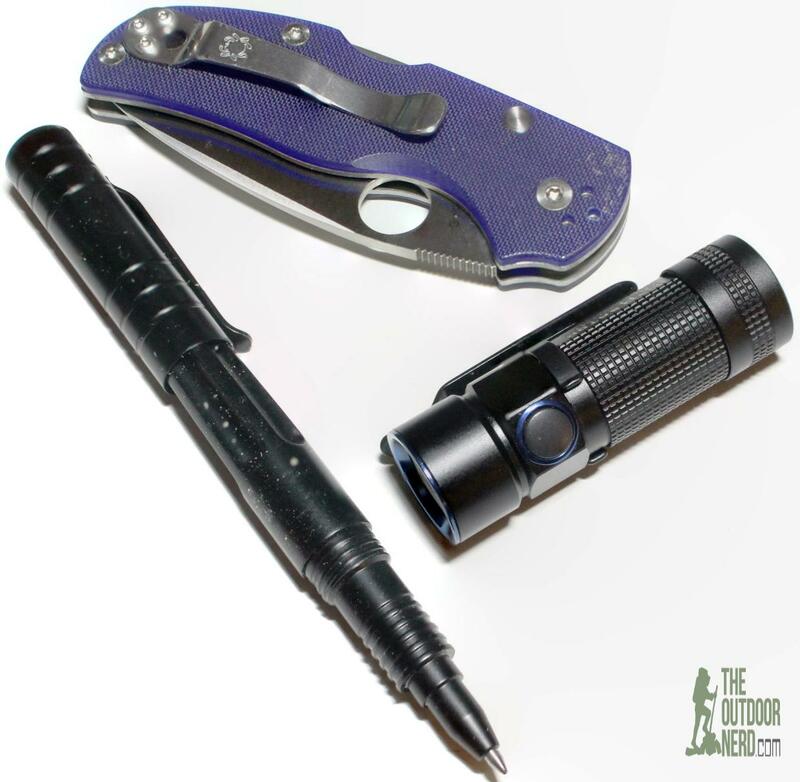 This is about as close to perfection as I’ve seen for an EDC flashlight. When I lived in a very rural area, these types of CR123A lights didn’t have quite the run time I needed. But in a city or the suburbs this is pretty much my favorite form factor for EDC, with the 2xAAA form factor a close second. But the power-to-weight ratio I think is a little better for CR123A. Sometimes I carry my 2xAAA Lumintop IY365 just because those pen light type lights are slimmer in my jeans pocket. If I’m wearing a jacket or cargo pants, this S1R is always in my pocket, and I’m happy to recommend it to others. It’s taken a couple drops where I thought “there’s no way it survived” and it’s held up well.